It’s an assumption you have heard before: Travel agents are a dying breed. Many people presume that the rise of do-it-yourself booking engines have wiped out travel agencies But that’s not necessarily the case. 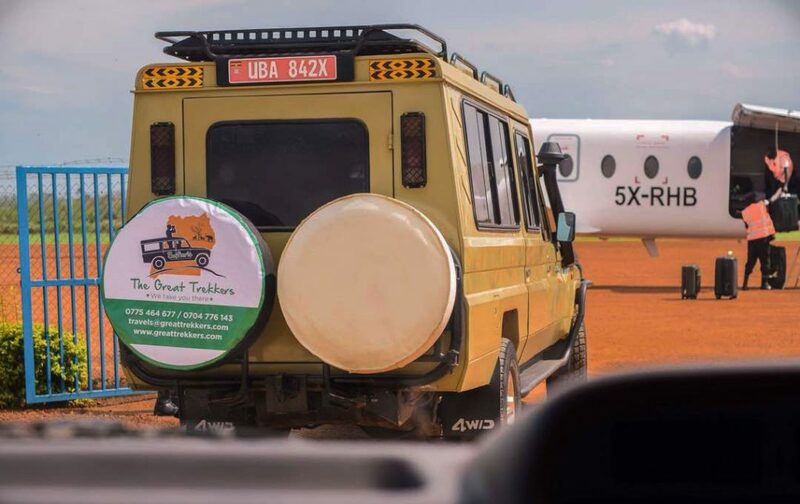 As a unique travel agency that fronts sustainable and fair travel, we have won the hearts of many travelers who have booked with our company for their safari experience while on their visit to the pearl of Africa- Uganda. 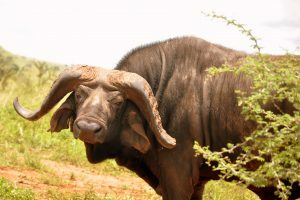 In addition to providing memorable Safaris, travel tips and un-matched customer care, The passionate team at our agency has traveled all over Uganda and researched about all the local and international details vital in preparing the best Safari experiences to all our clients. Things can get tricky when traveling abroad, especially if you’re visiting a country for the first time. Not only can you get a better value when you use The Great Trekkers as your preferred travel agency, but you also have the peace of mind that you won’t get stranded for the entire time you will spend on your holiday. 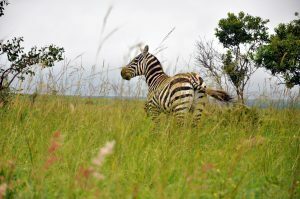 Besides the game drives, boat cruise and other activities we include in your tailor made Safaris, we take time to prepare well guided trekking safaris to several communities within the conservation areas in Uganda. While on such guided walks, you not only get an opportunity to share life experiences with the welcoming people living in these communities but you get to experience memorable traditional and cultural performances. We ensure that part of your money paid for these trips stay in communities. You’ve got enough on your plate when it comes to organizing your wedding — let someone else plan the honeymoon. Not only can a travel agent get you discounted rates, but they can use their established relationships to provide you with special honeymoon perks like room upgrades, welcome amenities and candlelit dinners. Thanks to their industry contacts, travel professionals at The Great Trekkers can help you negotiate large-group discounts and organize all of your itinerary details so your family reunion or your corporate retreat in this beautiful country. Transitional to the East African savannah and the western rain-forests, Uganda is Africa’s most complete bird watching destination, with more than 1000 species recorded within an area comparable to that of Great Britain. 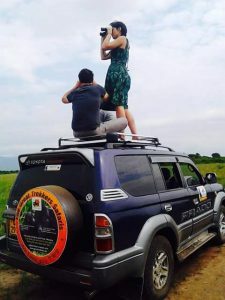 Bird watching is one of the most frequented activities in the tourism industry for this The Great trekkers take the initiative to show you the world’s common, migratory, the unusual and the most interesting bird species in Uganda and around. In addition we give a detailed explanation of individual birds and the stories and African beliefs related to them. You can be sure of adventure birding in Uganda. In Uganda, birds are very important among the natives of the country. These are connected daily lives of people like they are used as alarms in the morning and evening, the stories connected to them and are used by fortune tellers blessed with many bird species mounting to 1000 species in large numbers widely spread in wetland areas, in swamps and marshes. These birds are attracted by the climatic topography and the biomes bearing the fact that Uganda strikes across the equator. Uganda has 13 globally threatened species and 15 are nearly threatened species like the shoebills, lesser flamingos, fox weaver, papyrus yellow warbler, blue swallow, African green broadbill amongst others. For the conservation of water birds, Uganda became a contracting party to the Ramser conversion of 1988. You can be sure of adventure birding in Uganda. Having 11.1% of the world’s bird species, we are blessed with the largest bird species in Uganda of 1056 species of which 30 species are endemic to Uganda. Unlike any other country in Africa, birding in Uganda is unlimited to all national parks, forests, swamps and water bodies of Uganda but bird watching at Queen Elizabeth national park and Lutembe Beach are exceptional because of their unusual bird conferencing and migratory birds respectively. You can be sure of adventure birding in Uganda once you book your holiday trip with us. What to Consider before planning your Next summer holiday Destination. Look for an accredited agent. The Great Trekkers is a professional travel agency that works under the guidelines of key tourism bodies in Uganda. We are a member of Uganda Tourism Board, Uganda Wildlife Authority and Western Uganda Tour Operators Association that represents all travel agencies in the region. It’s very helpful to get advice from the previous travelers, family and friends who could have used our services before. Ask for The Great Trekkers recommendations from people you know have used travel professionals in the past. If you can’t tap friends or family for recommendations, rely on the industry’s accreditation system to guide you to the right agent. Some travel professionals are Certified Travel Counselors, which they’ve earned through The Travel Institute (the certification body for the travel professional industry). Agents can even become “destination specialists” through the program, meaning they become experts in a given region. Some of these certifications can be attained through remote course study, while others earn the title through extensive first-hand travel experience. After your travel professional supplies you with a vacation package estimate, make sure to ask if there are any additional fees and if the cost of an agent’s service is included in the quoted vacation price. If the sight of “service fees” has you rethinking the use of an agent, keep in mind that an agent’s on-ground contacts and affiliations can likely score you more free extras and discounts that you wouldn’t necessarily be eligible for if you made the travel plans yourself. If you decide to book through The Great Trekkers – certified travel agency, you can be sure that the agency adheres to the association’s code of business ethics. We don’t just offer usual safaris. We take time to design unique trips by going beyond the usual automatic routes. Once you book with our agency your money isn’t only earned by the company but 20% of our profits support vulnerable women and children groups in the conservation community of Nyabuhama, Rwenjeru around Lake Mburo National Park.